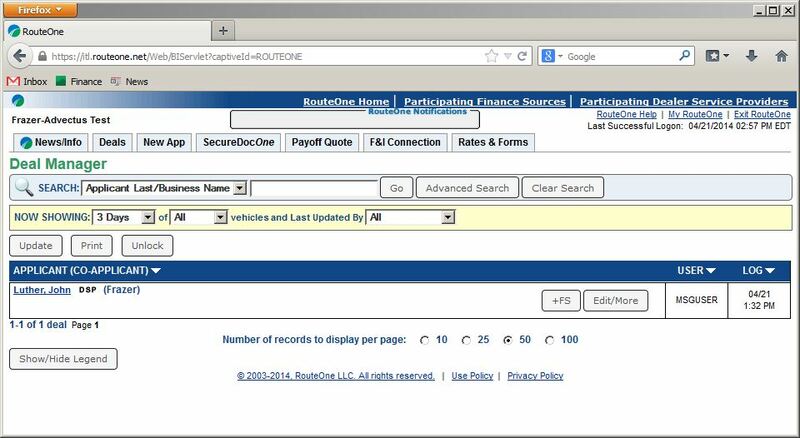 Accessing RouteOne from an outside financing prospect not already submitted to RouteOne will automatically try to save the sale as a prospect in Frazer. If data is missing, the normal yellow popup messages will appear (such as "You MUST enter a Last Name before saving!"). This screen will list the fields missing that are generally required by apps sent to RouteOne. As it states, users should exit this screen, fill in the missing information, and try again. The "Send Credit Application" button remains disabled until all of the required, basic information is entered. 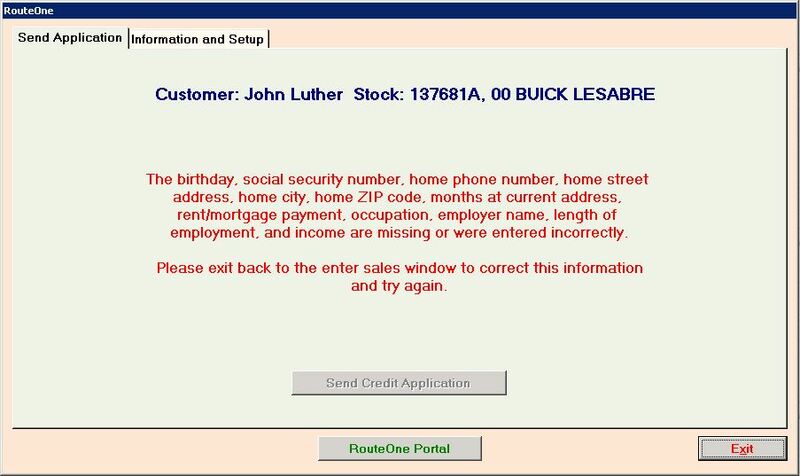 Note: Much of this information is sort of "hidden away" in the Credit Application Information section of the Sales Processing window. 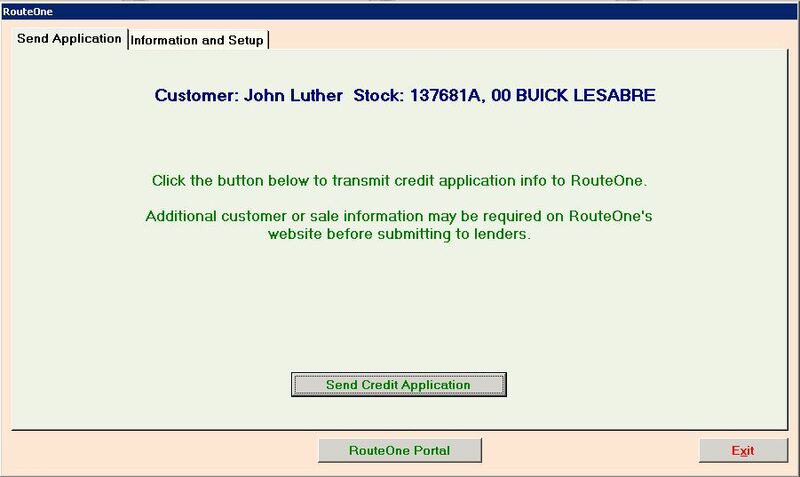 As the message states, depending on the finance sources you are signed up with / choose to submit to, more information may be required before the deal can be submitted to lenders on RouteOne's end.